Highly efficient control of radionuclide materials with low activity. Detection unit performs 4π geometry measurements as measuring product is moving inside germanium detector. Radionuclide efficiency registration is more than an order of magnitude higher than efficiency registration of standard coaxial detection unit of the same dimensions. HPGe detector flowing geometry can be developed based on the crystal with equivalent efficiency from 10 to 100%. 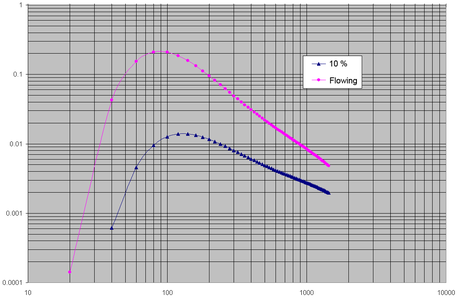 Absolute efficiency registration comparison curves during gamma-ray emission with sample positioning inside and outside detector.